Sea Portraits is a series of photographs and interviews with some of the people who, whether through work or play, have a deep connection with the sea in all its mystery and magnificence. Meet Dr Andrew Eccleston, the academic. 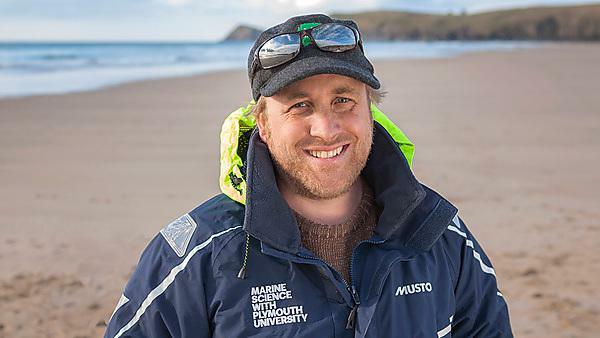 Dr Tim Scott: "The sea is a constant and it is endlessly fascinating"
Lecturer in ocean exploration Dr Tim Scott on his enduring love for the oceans. Plymouth is a city defined by its relationship with the sea. Sea Portraits is a series of photographs and interviews with some of the people who, whether through work or play, have a deep connection with the sea in all its mystery and magnificence. Sea Portraits is a series of photographs and interviews with some of the people who, whether through work or play, have a deep connection with the sea in all its mystery and magnificence. Meet Tom Cload, the boatyard owner. Sea Portraits is a series of photographs and interviews with some of the people who, whether through work or play, have a deep connection with the sea in all its mystery and magnificence. Meet Debby Mason, the artist. Sea Portraits is a series of photographs and interviews with some of the people who, whether through work or play, have a deep connection with the sea in all its mystery and magnificence. Meet Ray Ives, the deep sea diver.